Gather ‘round, my little dry-sponge funkateers. And soak this revelation up. What makes funk music funk music? The one. That first beat in every measure. In funk, the one is where everything lands. The bass. The kick. The brass. Everything lands on the one. How do I know? I’m Dayton, Ohio. Professor Emeritus of Funkology. And mother-city of the most seminal funk bands on planet Earth. 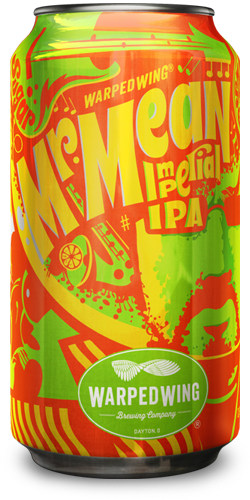 And also, the muse behind this, a funkaliciously citrusy, dry-bitter Imperial India Pale Ale called Mr. Mean. Class dismissed.